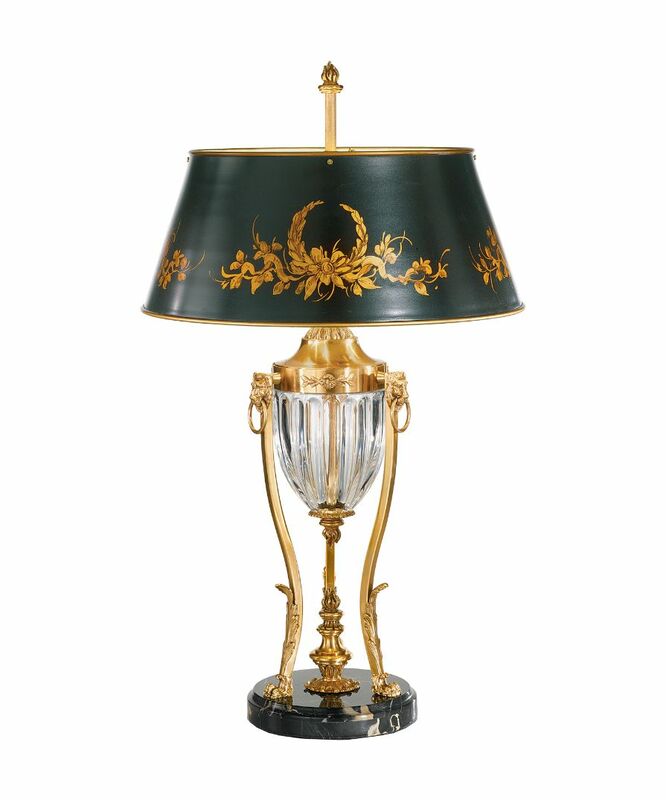 Brass table lamp. Finished in french gold. Full lead crystal urn. Marble base with hand painted shade.